Full extent of recovery to be determined in six weeks. 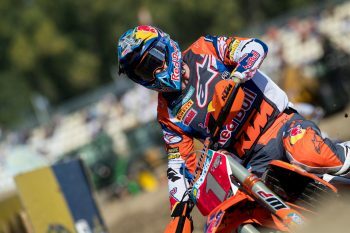 Further information has been released on Jeffrey Herlings’ recovery after breaking his foot last week, indicating the Red Bull KTM Factory Racing rider is unlikely to make the opening round of the 2019 MXGP World Championship in Argentina. 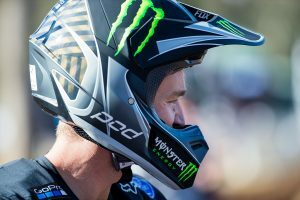 Herlings immediately flew back to Belgium after suffering the injury at the Albaida circuit in southern Spain and underwent a procedure with renowned surgeon Dr Claes to fix fractures in his right foot. The defending champion will change his cast next week and is scheduled for a consultation with medical staff in six weeks to determine the full extent of the recovery time, making his appearance at the 3 March opener doubtful. “I landed strangely from a jump and was at an angle when I went too close to the track ‘wall’ of dirt at Albaida,” Herlings explained. “I got my foot caught between the bike and the mud. I knew we were in trouble, and we had the operation as soon as possible when we saw the foot was starting to swell. “This is obviously not the best way to start 2019 but we’d been riding and preparing well and we have to work now to get back to that level. The good news is that Dr Claes and his team were really happy with how the operation went and I don’t have any more pain or swelling. 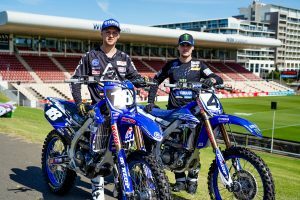 The Dutchman dominated the 2018 MXGP World Championship, winning 17 of 19 rounds on his way to a maiden premier class crown.